Islamic State has deployed a weaponized quadcopter drone against Iraqi forces near Mosul, which was armed with grenades that had badminton birdies for tails, an AFP correspondent reported, posting photos of the drone on Twitter. The pictures released by Sara Hussein, an AFP reporter on the scene, were taken on February 23, the day US-backed Iraqi troops retook Mosul’s airport from Islamic State (IS, formerly ISIS/ISIL). Iraqi forces are pushing to enter the militant-held western part of the densely-populated city, where up 750,000 civilians are reported to be trapped. Hussein claimed she took the photos in the village of Al-Buseif south of Mosul. The “weaponized” drone was shot down by Iraqi forces, she wrote. A closer look at the pictures reveal that the grenades carried by the drone have badminton birdies for tails. According to Arstechnica website, which covers news on science and technology, the drone was armed with a pair of 40-millimeter grenades. 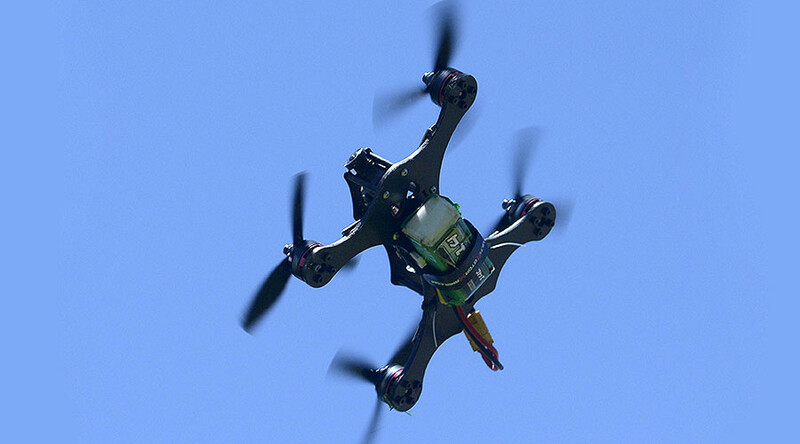 The drone reportedly bore the logo of a Chinese technology company in the civilian-drone industry called DJI .